Numbering the walls or corners in your classroom can be helpful for teaching all ages – from pre-schoolers who can learn to jump to “wall 3”, to ballerinas who travel from corner to corner, ballet schools have used a fixed number system for years. However, each school has a different method for numbering their directions. Keeping them all straight can make your head spin! So we’ve created a little cheat sheet for you to keep in your back pocket. For teachers of another discipline aside from ballet, you might consider adopting one of these numbering methods in addition to using tradition theater directions (upstage, downstage, etc). 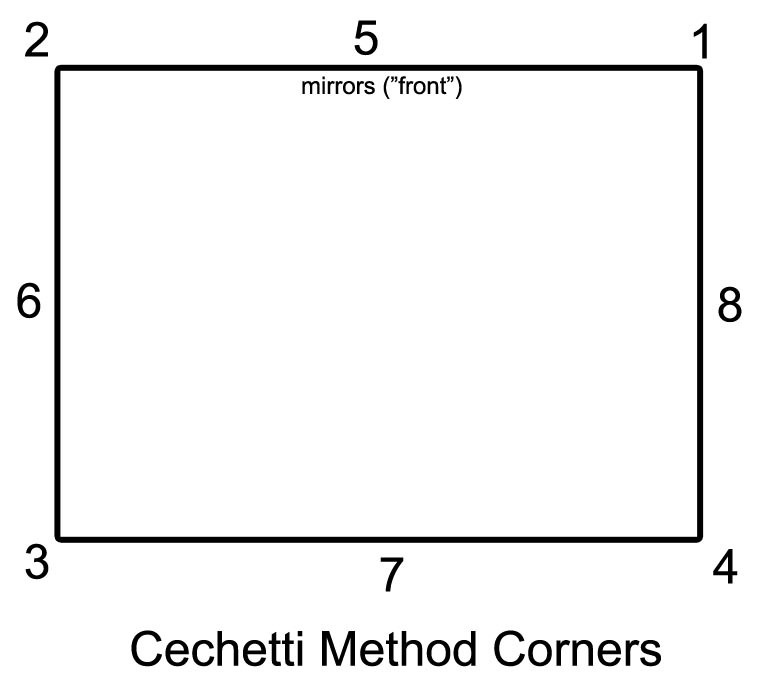 Cechetti starts with numbering the corners of the room first starting with the front right corner and going counter-clockwise (1-4). Then the front or “audience” is labeled 5 and the rest of the walls are numbered counter-clockwise as well. With this school, you start by facing the front and label that “1”. Then go around the room clockwise and label each point, so the front right corner is 2, the right wall is 3 and so on. 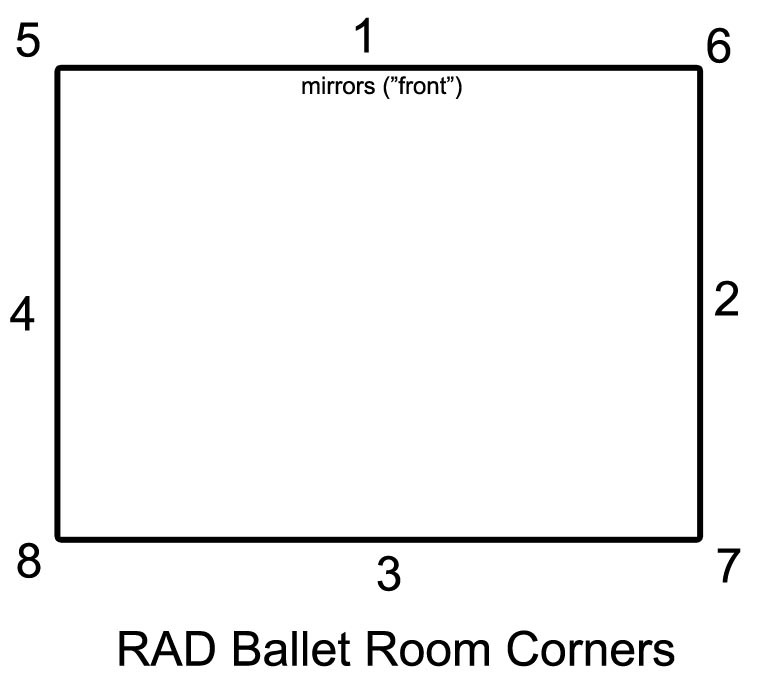 With RAD, you begin by numbering the walls first and then the corners, in a clockwise direction. Teaching Tip: Hang large numbers on your studio walls / corners. Use the numbers in class – such as “let’s travel from corner 4 to corner 2”. Play 4-corners for a special treat for younger dancers. Halfway through the year, take one number down each week. 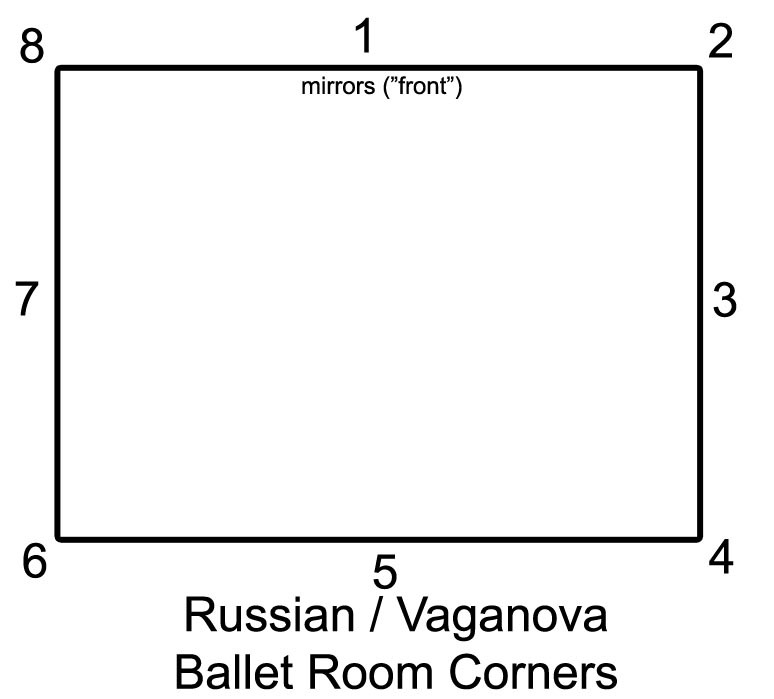 Continue to play the games and use the corner names in class and see if the dancers remember which corner is which.